MSW CV / Biosketch / Etc. Currently, we are focused on two areas of Photorhabdus research. Why do they glow & how is light production regulated in these bacteria (Fig. 1)? Figure 1. 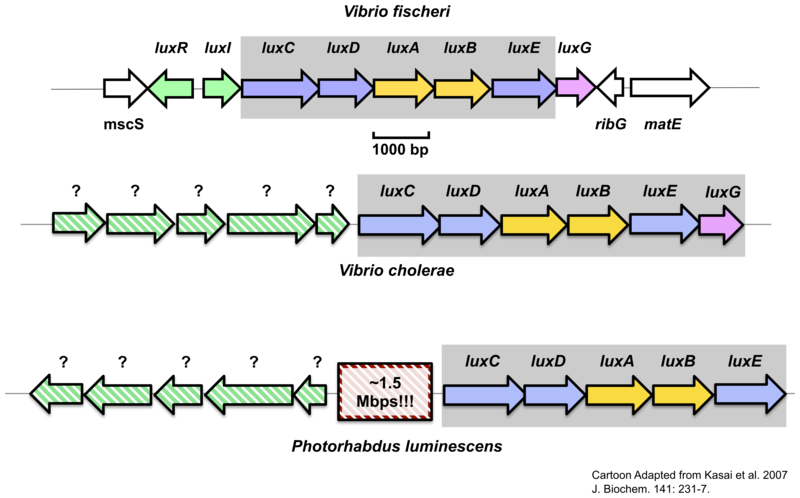 Cartoon of the lux operon (grey box) in P. luminescens and two marine bacteria (Vibrio fischeri and Vibrio cholerae); identified and putative regulators of the lux operon are represented by green arrows. What is the microbial ecology (Fig. 2) of the nematode and insect larva hosts? Figure 2. Photorhabdus infection greatly decreases the microbial taxa present in the host. 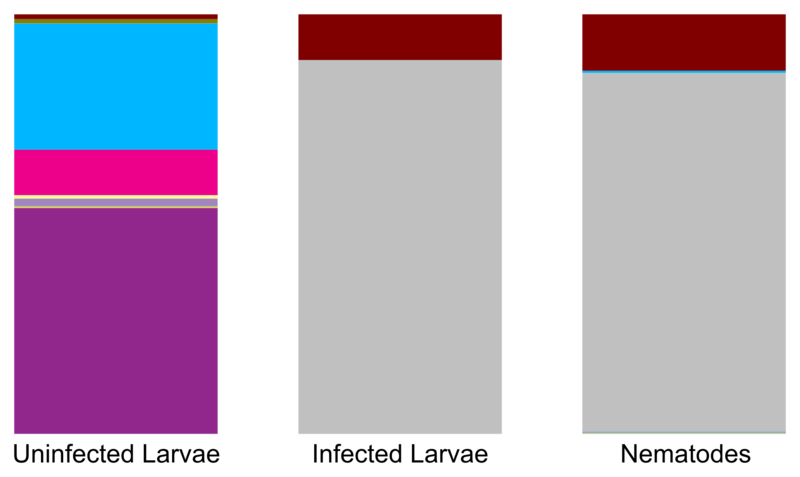 Major bacterial taxa/OTUs identified by 16S rDNA sequencing are represented by distinct colors in each histogram above. Uninfected larvae host a relatively diverse community in contrast to dead larvae infected by Photorhabdus and its nematode host.